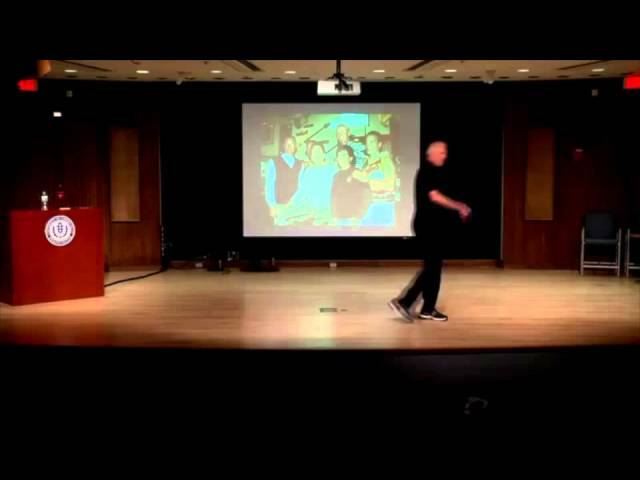 Inspires: Lessons from a career & life filled with success and setbacks. 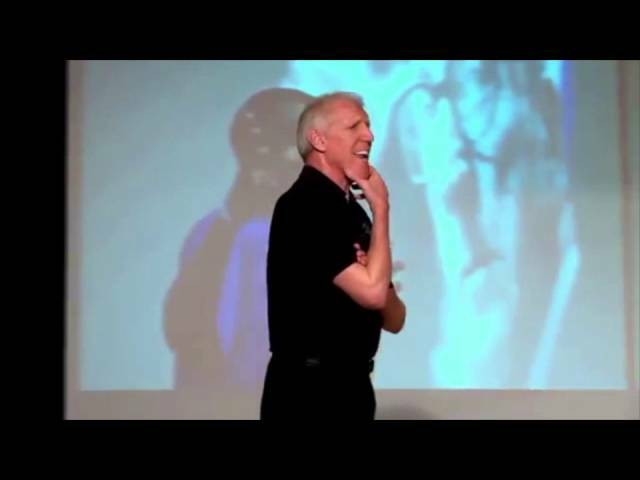 Grit personified: College and NBA Hall of Fame champion despite 37 surgeries. Resilient: Complete inability to speak without stuttering; yet became a broadcaster. 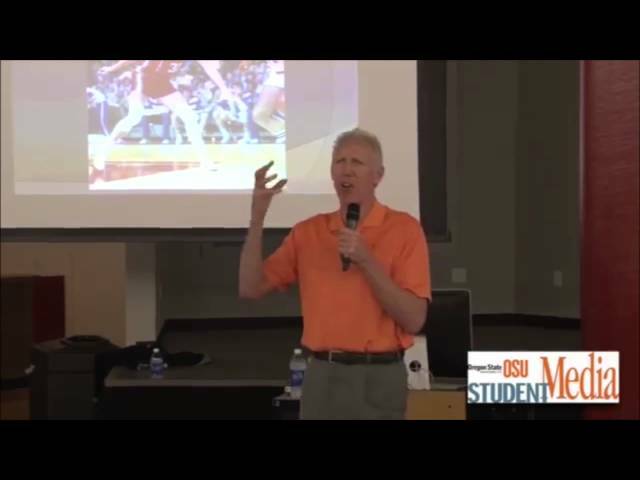 Storyteller: on attitude, overcoming adversity, being your best, and more. Loves his fans: Stays to the end for photos, autographs, and conversation. 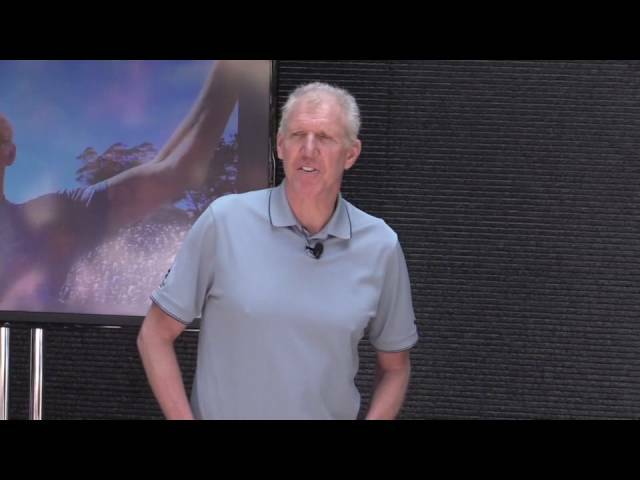 Basketball legend Bill Walton is one of sports’ most recognizable and beloved figures. His success on the court is well-documented; the nation’s top college basketball star at UCLA under legendary coach John Wooden, he then played for two NBA Championship teams – the Portland Trail Blazers and Boston Celtics. But Bill’s nightmarish challenges off the court are less known. He stuttered so badly he couldn’t say a simple “thank you” until he was 28 years old. And a foot disorder led to 37 surgeries on his feet, legs, and back – keeping him sidelined over half of his NBA career. 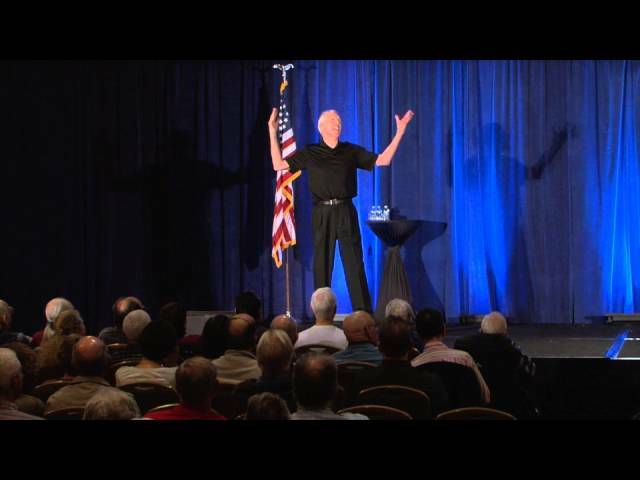 Armed with grit and a positive outlook, Bill improbably overcame it all. He was inducted into the Basketball Hall of Fame and named to the “50 Greatest NBA Players of All-Time” list. After his playing career, Bill pursued broadcasting; he is currently covering Pac-12 games on ESPN. 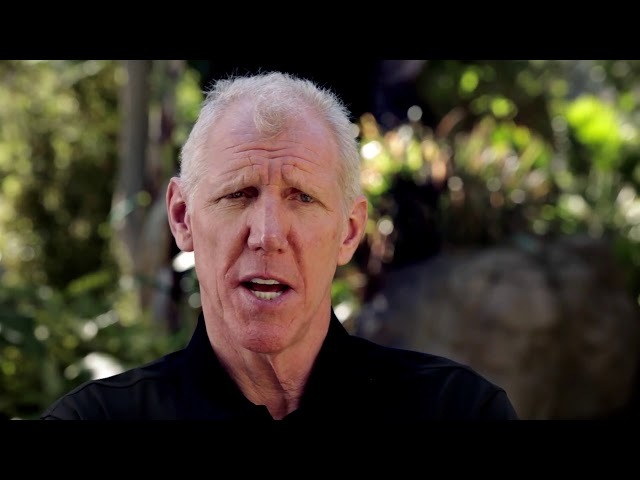 Bill Walton has led a life of humility in service of inspiring others. His autobiography, Back from the Dead, was a New York Times bestseller and he is perhaps the best-known Deadhead, having seen over 900 shows. 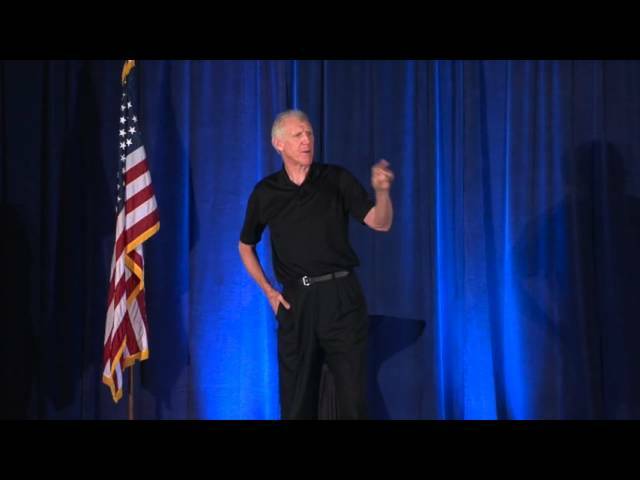 As entertaining as he is insightful, Bill is widely considered one of the best speakers from the world of sports. 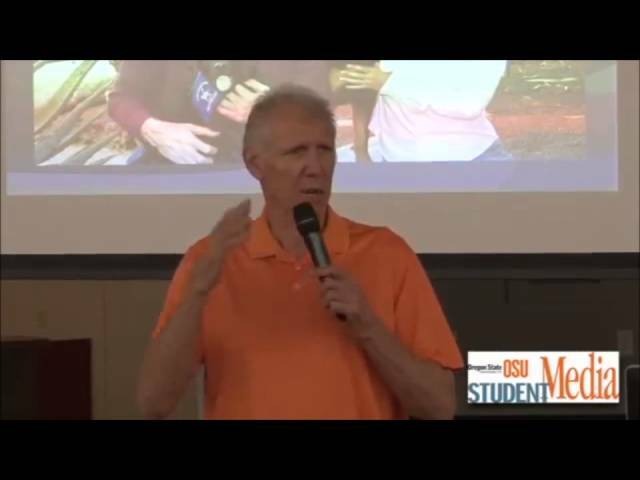 The lessons he learned on the basketball court became life lessons that served him well throughout his sports, broadcasting and business careers. 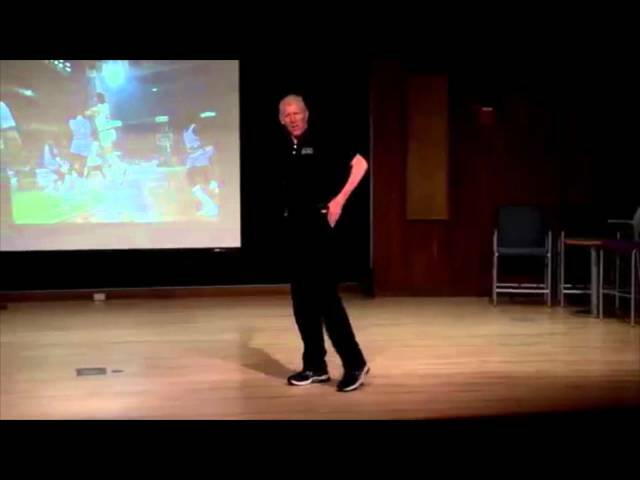 No lesson was more important than the words from the legendary John Wooden, Bill’s basketball coach at UCLA, who simply said “Do your best.” Wooden never asked players to go out and win – simply to do their best and not beat themselves. Bill never forgot those words which helped him throughout his extraordinary career. Following a celebrated college basketball career, Bill went on to have a Hall of Fame NBA career. After basketball, he pursued his dream job as a sports broadcaster – but first had to overcome the lifelong stuttering affliction. And then, in 2008, Bill endured risky back surgery for to repair damage done early in his basketball career. Through it all, Bill’s determination and positive attitude carried him through. 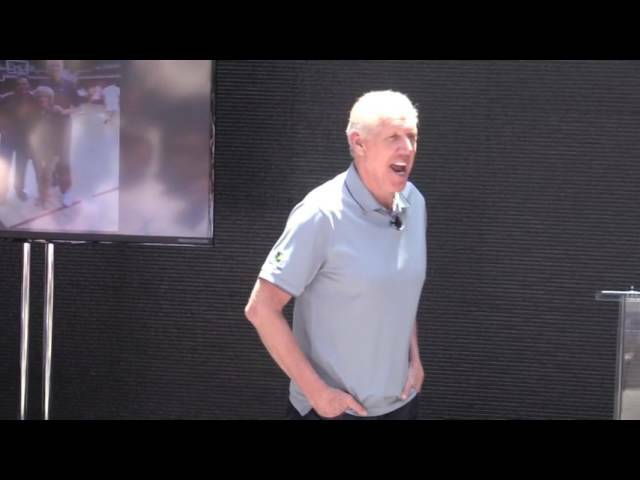 Bill is an authentic and true original who personifies greatness and is one of the most compassionate figures in sports with an extraordinary record of giving back through his work with numerous charities and non-profits. Bill was introduced to the game of basketball while in the fourth grade at Blessed Sacrament Elementary School. He then attended Helix High School, where his team won the California Interscholastic Federation High School title two years in a row, while winning their final 49 consecutive games. 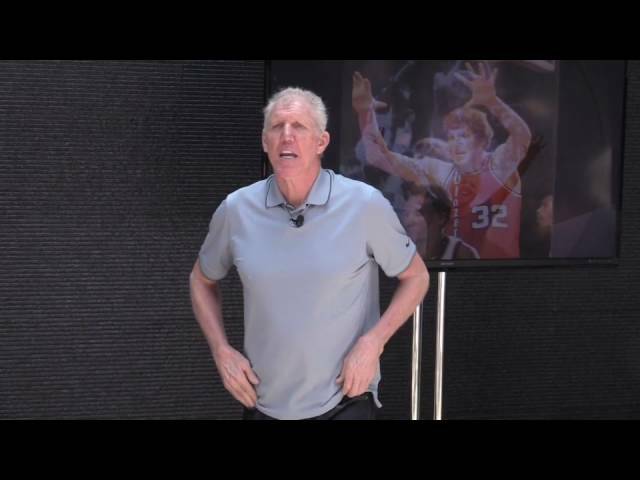 While at Helix, Bill became the first and only high school player to ever make the U.S.A. Senior Men’s National Basketball Team and play in the World Championship and/or Olympics. Bill enrolled at UCLA in 1970. He played center for John Wooden’s varsity team for three seasons (1972-1974), after a year with the freshman team in 1971. He was a member of two NCAA championship teams compiling an NCAA record 88 consecutive game winning streak. In 1972, ’73, and ’74 Bill was named NCAA Player of the Year Award. He is a three-time All-American College Player and winner of the Sullivan Award for the United States Best Amateur Athlete of 1973. Bill was named to the Pacific 8 All-Conference first team three times and was conference player of the year for three consecutive years. 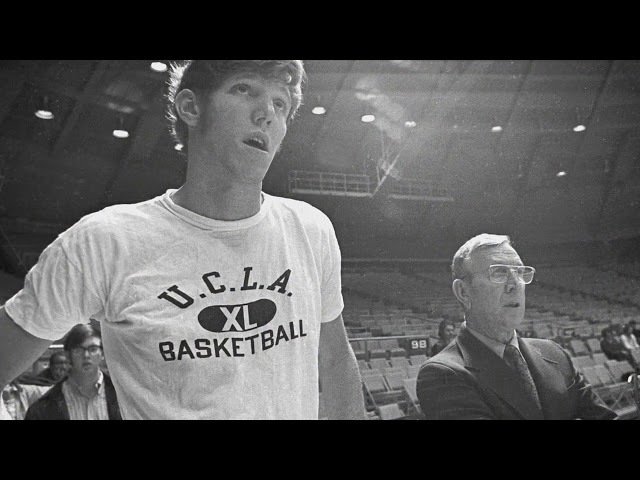 At UCLA Bill was a scholar-athlete who also earned Academic All-American honors three years in a row. He graduated with honors with a B.A. in history. Bill also attended Stanford University Graduate School of Law in the early 1980’s. 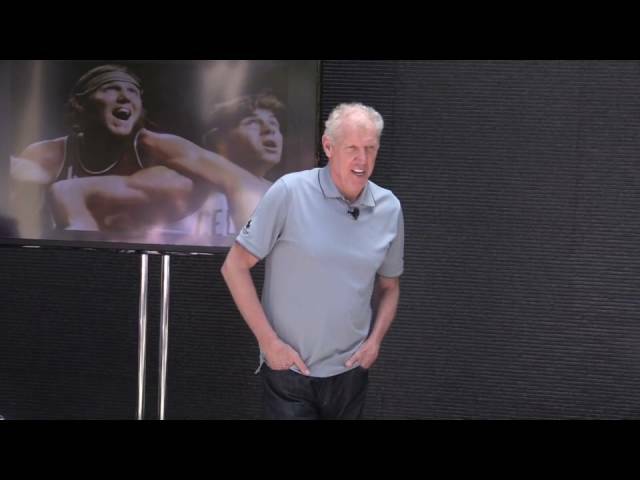 Bill was the NBA’s Most Valuable Player, 1978; All-NBA First Team, 1978; NBA All-Star Team, 1977 and 1978; NBA Playoff’s MVP, 1977; All-NBA second team, 1977; winner of the NBA Sixth Man Award, 1986. 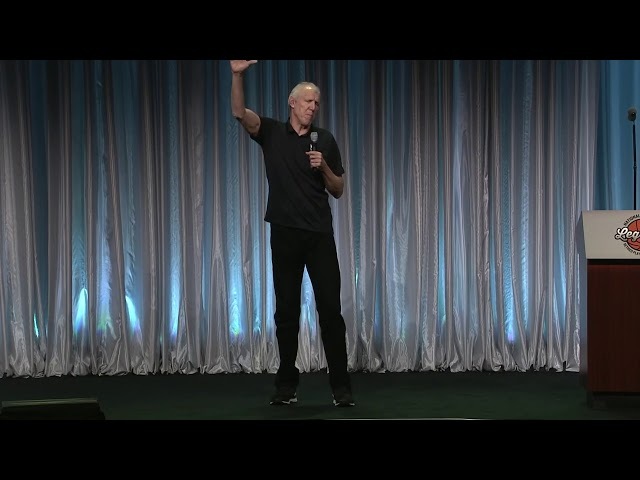 Bill is one of only four players in the history of basketball to have won multiple NCAA and multiple NBA Championships. He is also the second of only five players in the history of the NBA to lead the league in both blocked shots and rebounding in the same season. In 1991 Bill received the NBPA’s Oscar Robertson Leadership Awards. In 1993 he was inducted into the Basketball Hall of Fame in Springfield, Massachusetts. In 1997 Bill was selected as one of the NBA’s Fifty Greatest Players of All Time. Also, in 1997 he was inducted into the National High School Sports Hall of Fame. After retiring from basketball Bill began his broadcasting career in 1990 as an analyst for the then Prime Ticket Network. Bill worked for CBS Sports in the early 90’s and then for NBC for many years, including work on the 1996 Atlanta and 2000 Sydney Summer Olympic Games. Over his career he’s also done broadcasting work for ABC, ESPN, FOX, MSNBC, Turner Sports, KCAL, NESA and the NBA. Bill has been nominated for numerous Emmy Awards and in 2001 won an Emmy for Best Live Sports Television Broadcast. The southern California Sports Broadcasters Association has several times honored Bill with the Best Television Analyst/Commentator Award. In 2009, he was named one of the top 50 sports broadcasters of all time by the American Sportscasters Association. In June 21, 2001, Bill was named as the inaugural inductee into the Grateful Dead Hall of Honor. Love of sports runs in the Bill’s family. He and his older brother Bruce (UCLA 1973) are the only brother combination in history to have played in the Super Bowl and to have won an NBA Championship. Bill and his third son Luke are only the third father/son pairing to have ever won NBA Championships. They are also the only father/son combination in history to have each won multiple NBA Championships. 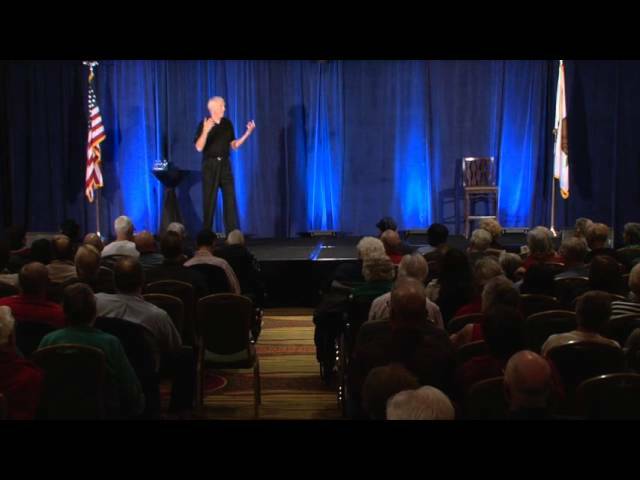 Bill is active with many organizations and charities. For his efforts, in 2002 he received the NBA Retired Players Association Humanitarian Award. He is executive chairman of Connect SD Sport Innovators (SDSI), a non-profit, business-accelerating, trade organization that connects and drives the growth of Southern California’s vibrant sports economy by offering innovative programs and services for startups, mature companies and service providers. Walton is also a board member for the Junior Seau foundation. Bill is also involved in numerous Internet ventures, providing content and business acumen.